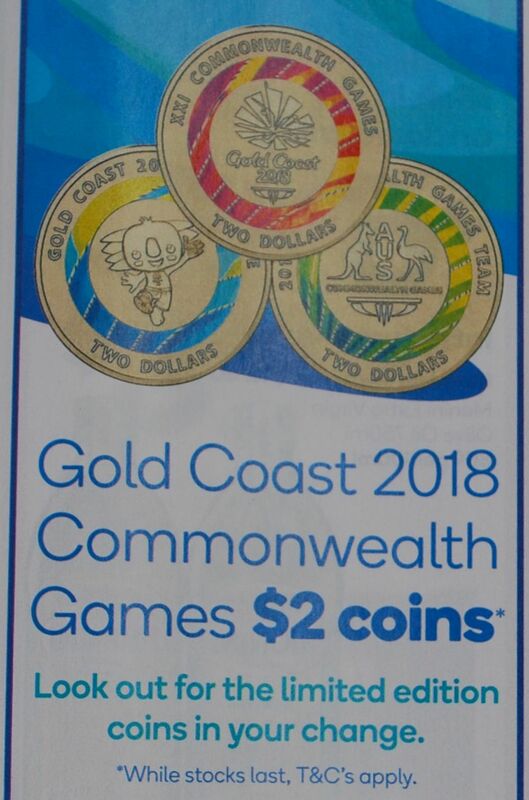 From today you should see the next coin in the 3 coin series of 2018 Commonwealth Games coloured 2 dollar coins in your change at Woolworths and Safeway supermarkets. I visited two Woolies stores today without luck still receiving last weeks coins. Perhaps the Armaguard delivery hadn’t landed in store yet! I imagine the logistics of ensuring stores are stocked up is quite a task but then this is a massive advertising and Games supporting event for Woolworths, all should be running smoothly. 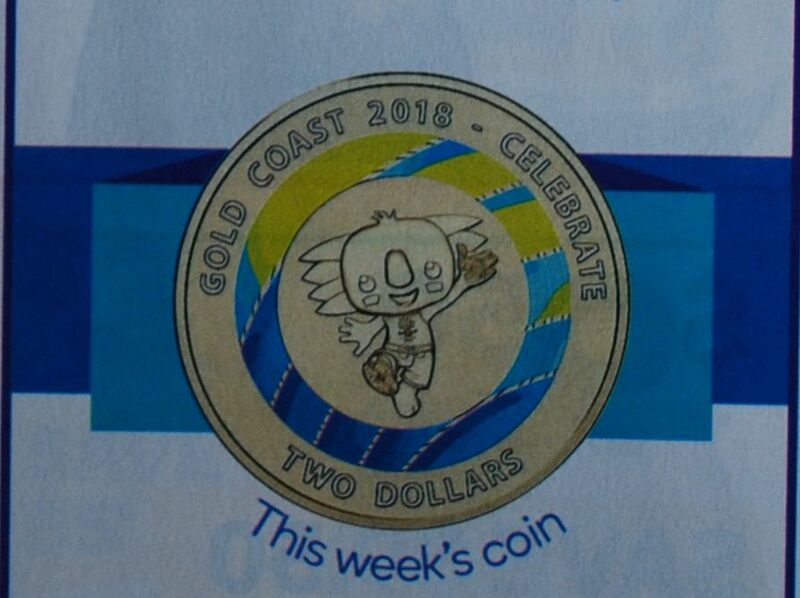 The week 2 coin (that I am yet to receive) is blue and yellow in colour and depicts “Borobi”, a blue koala who is the Gold Coast 2018 Commonwealth Games mascot. It is being reported in the media that a total of 8 million coloured $2 coins will be sent into circulation through Woolworths stores. Images courtesy of the Woolworths catalogue.